A blog for tourists and locals on the city of Athens, Greece. If you intend to use intensively your mobile device during your stay in Greece, there are a multitude of prepaid mobile packages that you might be tempted to use. 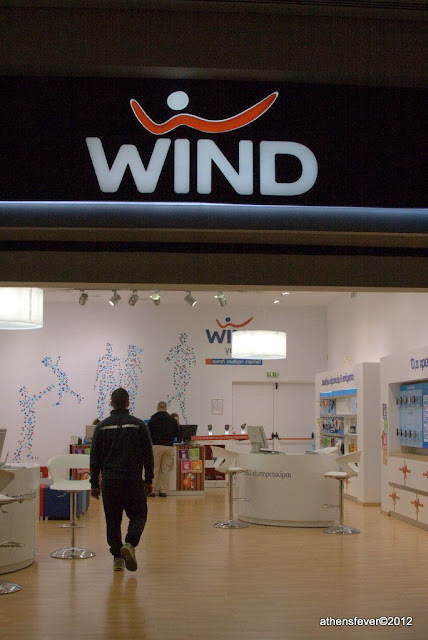 In Greece, the mobile market is shared by three companies: Cosmote, Vodafone and Wind. 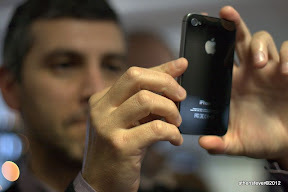 Each of these companies offer a vast number of prepaid mobile packages. Finding the right package that suites you better, might seem a quite difficult task at the first glance, due to the big number of packages. Before starting, you need to define the use you are going to make most of your mobile device: Mobile internet, local telephony or international telephony. By law, every user of a prepaid mobile package must register his/her personal data at one of the mobile operator shops or representatives. You need to have with you your ID card or passport and the SIM card of the package. Below we provide links to the packages offered by each provider. WHAT'S UP: In this package, economical bundles for telephony and SMS messaging between WHAT'S UP subscribers are offered. COSMOCARTA: Offers bundles for free talking time (100 or 200 minutes) and Internet monthly pass. The minimum call duration in a package is 3 minutes, after which the call is charged per second. 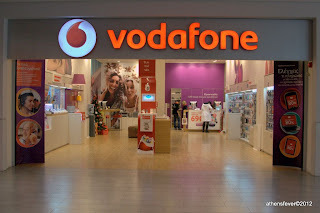 Prepaid packages at Vodafone are called Vodaphone CU. It offers multiple packages offers (called bundles). Some are dedicated to students only and others are dedicated to Internet use or Telephony. Also, there are special international telephony packages to Cyprus, UK and the Netherlands. Some of the bundles, if activated online offer extra bonus. The information contained in athensfever.blogspot.com is for general information purposes only. The information is provided by athensfever and while we endeavour to keep the information up to date and correct, we make no representations or warranties of any kind, express or implied, about the completeness, accuracy, reliability, suitability or availability with respect to the website or the information, products, services, or related graphics contained on this page for any purpose, or persons that may be advertised or mentioned either directly or indirectly through it.. Any reliance you place on such information is therefore strictly at your own risk. Through athensfever.blogspot.com you are able to link to other websites which are not under the control of athensfever. We have no control over the nature, content and availability of those sites. The inclusion of any links does not necessarily imply a recommendation or endorse the views expressed within them. If you encounter any problems with the content of athensfever.blogspot.com which relate to legal or ethical issues, please notify us via athenes.fever@gmail.com so that they can be addressed immediately.